Love has to be more than just bells and banjos ringing out. Or at least that’s what Angie dreams of. For Rocky, a contentedly single musician, he hopes for the opposite. But of course, Angie and Rocky’s paths cross at the intersection of what they want and what they need. For the uninitiated, Love With the Proper Stranger may seem on the outset to be lightweight subject matter, but that couldn’t;t be further from the truth. In the Robert Mulligan directed 1963 film, Love with a Proper Stranger, Natalie Wood and Steve McQueen tackle some heavy, romantically linked subjects that are still relevant today. The film was produced by Mulligan himself along with his very famous writing partner, Alan. J Pakula. The two had produced To Kill a Mockingbird in 1962, with Pakula going on to direct All the Presidents Men and penning Sophie’s Choice. Love with a Proper Stranger is just that, love between two strangers. Natalie Wood stars as the demure and hopeful Angie Rossini. Angie, who works hard as a shop girl, believes that one day all those banjo’s and bells of love will ring for her. A one-night stand with a very handsome Steve McQueen leaves her life in chaos. Angie finds herself pregnant and wondering what a normal life with love would look like. Angie and Rocky bicker about the potential of marriage, while getting to know each other for the first time. Reality sets in and Angie knows that forcing Rocky to marry her won’t create the relationship she’s always thought of. She makes a very adult decision. Love with a Proper Stranger tackles the very real subject of abortion, which for 1963 was radical. Rocky offers to pay for the procedure only to go with Angie and find that the doctor isn’t even that. The star-crossed pair face decisions of a life with and without love head on, becoming more than strangers in a blink of an eye. The story of Angie and Rocky is still relevant today. It doesn’t matter what decade you’re existing in, events conspire to potentially change your life in one night. Adult decisions always loom within the throws of love. Love with a Proper Stranger might even be more relevant today than in 1963. Facing what love is supposed to be and what it actually turns out to be is at the core of this film, which every young person faces in life to this day. 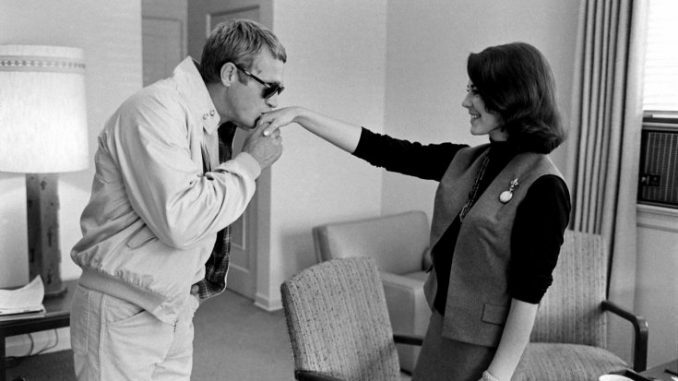 Natalie Wood and Steve McQueen give great performances, and the film was well received, reflected by the five Oscars it garnered, including Best Actress, Costume and Cinematography. Writer Arnold Schulman, received his first Oscar Nom for Best Original Screenplay, and went on to write many scripts including Funny Lady and A Chorus Line. 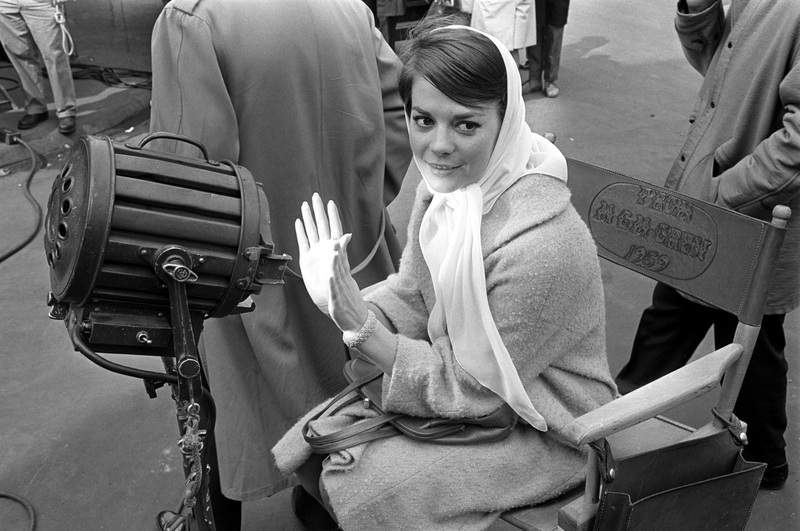 Natalie Wood said working on the film was “the most rewarding experience I had in all films, all the way around”. That should be even more reason to check it out. If you look close enough you can catch the film debut of Happy Days’ Tom Bosley. Don’t miss your chance to see Wood and McQueen in one of their best little-known performances. Take a chance on this proper hit and see Love with a Proper Stranger, now available on Blu-Ray from KL Studio Classics. I love this movie so much. My only complaint is that I have a hard time believing McQueen as an Italian. But he’s so attractive I will let it go. So glad you highlighted this lesser known film.